 Call Center is what CallWatch uses to identify who is calling your cell phone whether it is a telemarketer, debt collector, scammer, or even an old friend. When this option is enabled, the name (if available) and phone number will be displayed. There are two different types of call center that CallWatch uses which is Pre-call Center and Post Call Center. Pre-Call Center is a colored screen (green, yellow, or red) that appears with the number, and name (if available) when your phone is receiving an incoming call from a number not listed in your contacts. This also gives an option to block the number directly. Post Call Center is seen after a phone call is missed. The name (if available), number is displayed with the option to block the number, file a complaint, or view the history of the caller. Also, post call center displays how many blocks, complaints, and lookups a number has. Scammer: Known scammers, calls from these numbers will be automatically blocked if Scam Blocking is enabled, before reaching the user. A notification will alert the user that a scammer has been blocked.